Merlin Entertainments, the largest entertainments company in Europe and second largest in the world, has rolled out the Attractions.io platform across its global LEGOLAND venues. 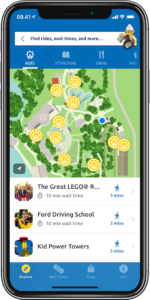 Visitors to LEGOLAND will now enjoy a world-class mobile app experience, helping them make the most out of their day. The apps include an interactive map, live wait times and information on all of the resort’s rides and attractions. As part of a deployment that spans three continents, the apps are fully localised with content available in numerous languages including Japanese, German and Danish. 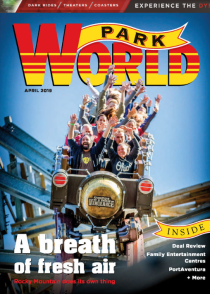 Other Merlin Entertainments attractions, including Alton Towers, Chessington World of Adventures and Thorpe Park, already use the Attractions.io platform. It has improved visitor satisfaction scores, increased secondary spend and delivered unique insights into guest behaviour. 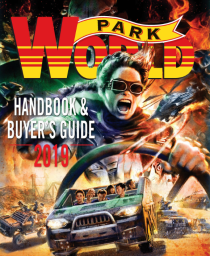 • A digital park map, so visitors can see where they are, what’s around them and easily navigate to any ride, attraction or facility. • Intelligent targeting of messages and promotions, sending highly relevant content to guests based on their location, time and demographics. • Directly sell experiences, add-on services and food & beverage from within the app, with Apple Pay and Google Pay integration for frictionless payments. • Daily visitor feedback collection, tracking guest satisfaction levels and surfacing the top areas to improve on. • Easy content and campaign management, controlled through an intuitive web-based interface.